Society has no truer mirror than its advertising. What motivates people to put their hands in their pockets and pull out their hard-earned cash must appeal to their innermost desires. And what someone wants, what he truly desires — is who he is. Think for a moment of all those car ads filmed in the desert. There’s no one for fifty miles in any direction. Climb behind the wheel and you can go wherever you want, whenever you want. You can be whatever you want. Think of all those ads for get-away-from-it-all vacations (whatever the dreaded “it” might be). They all express the same ideal: the commitment to being uncommitted, the freedom to do what I want when I want, and to change what I want from one moment to the next. Society pays lip service to the ideals of commitment, stability and fidelity. Advertising, however, gives the lie to that sanctimony, and reveals that society’s real aspiration is to be free to “go with the flow”. Unfortunately, modern man finds his flow severely restricted. At every turn he is encumbered by commitments: a home, a wife, children, a mortgage, a second mortgage, a second wife. What he would really like to do is take off and travel the world with a credit card and unlimited credit — to follow any, or all, of a myriad of possibilities. The fact that he tolerates responsibility doesn’t mean that he has accepted a specific form and purpose to his life. He’d really like to be somewhere else, anywhere else, everywhere else. From where does this ideology of irresponsibility come? Is this desire for constant change a new phenomenon, or does it have its roots in something much more ancient? Everything in this world is a combination of matter and form. By definition, matter has no form. It is capable of assuming an infinite number of forms, of shapes. In a world that is all matter, everything is possible. Nothing is fixed. The epitome of matter is water. Water always takes the form of its container. Itself, it has no shape, no form. For that reason the Hebrew word for “water,” mayim, is a plural noun. There is nothing singular about the shape of water. Water, in the “shape” of the Nile, was both the idolatry of the Egyptians, and in this week’s Torah portion, its ultimate demise — for if ever there was a culture that was dedicated to “going with the flow,” it was Egypt. Egypt was an entire society dedicated to the pursuit of infinite variety and potential. By definition, such a society is incapable of, and scorns, marital fidelity. At the Friday night meal, welcoming the Shabbat Queen, a Jewish husband sings to his wife, his ‘queen’, the closing verses of King Solomon’s Proverbs, eishet chayil… “a woman of valor…” In direct contrast, Egypt represented the “eishet zenunim” — the unfaithful wife, the antithesis of King Solomon’s eishet chayil. Egypt was the faithless spouse who seeks constantly a new partner, a new form. Inconstant as water, she wants to “go with the flow”. 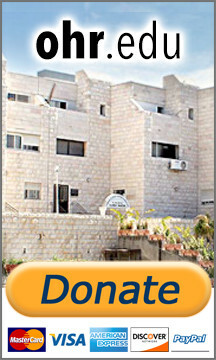 The Jewish home aspires to the ultimate triumph of matter that is forever faithful. It aspires to be like the eishet chayil, the woman of valor, who is able to concretize incessant potential and give it unchanging stability.